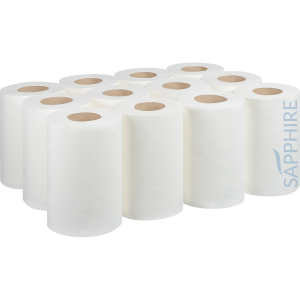 Sapphire Mini Centrefeed Rolls are a brilliant substitute to standard sized centrefeed and fit in most dispensers. 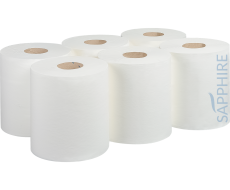 Available in both flat sheet and embossed, each roll is very absorbent and comes in lengths of up to 126m. 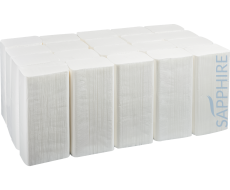 A popular product for kitchens, gyms, salons and many other workplaces that require more versatile and compact centrefeed product. 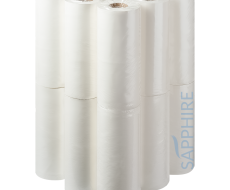 – UK Manufactured – Food Safe – Easy to tear – Absorbent and Strong – Shrink-wrapped to ensure rolls are protected – Fits most dispensers – CHSA accredited.